I recorded another Word Magazine commentary titled: "The Overlooked Problem with Camping: Rapture Teaching." 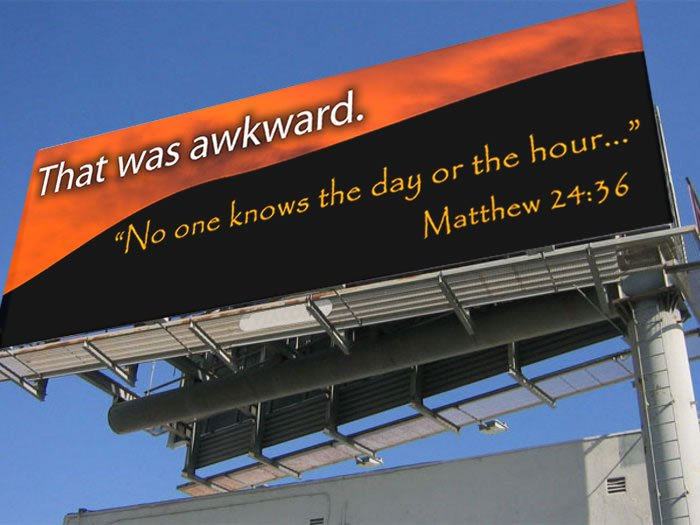 Though many have rightly criticized Camping for weird hermeneutics (numerology), rejection of the local church, and false date setting, the problem with his teaching that has received less attention is his emphasis on the "rapture" borrowed from classical dispensationalism. I am still learning to use Audacity, the microphone I used was crackling, and I have a Spring cold. Hopefully, listeners can make it through these distractions!